The waning days of Winter bring a tumultuous transition to Spring. Wildly variable high and low temperatures have those of us in the Carolinas reaching for shorts one day and sweaters the next. In between all that outfit switching, some of us find ourselves getting a renewed desire for grilling. To be outdoors with nature after being cooped up (mostly) inside during the Winter. It just felt good to be outside again. With temps in the upper 50’s and the sun shining it seemed like a great day to marinade and grill some food. Surveying the cabinets and refrigerator we were short a few ingredients. So, I headed off to the store. I was looking for a replacement water filter. I thought it was down this aisle. 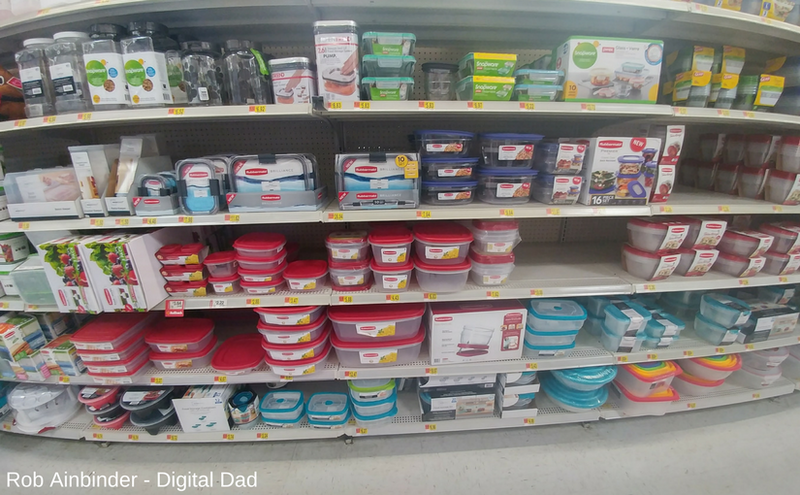 The Rubbermaid® BRILLIANCE™ 10 piece set on the middle shelf, sitting on its end got my attention. It’s super clear construction was a standout. I made my way through the store rounding up the rest of the ingredients for our meal and headed home. Checking the packaging a bit closer I was impressed to see that Rubbermaid® BRILLIANCE™ is 100% Leak Proof. Guaranteed. And the storage containers are stain and odor resistant. 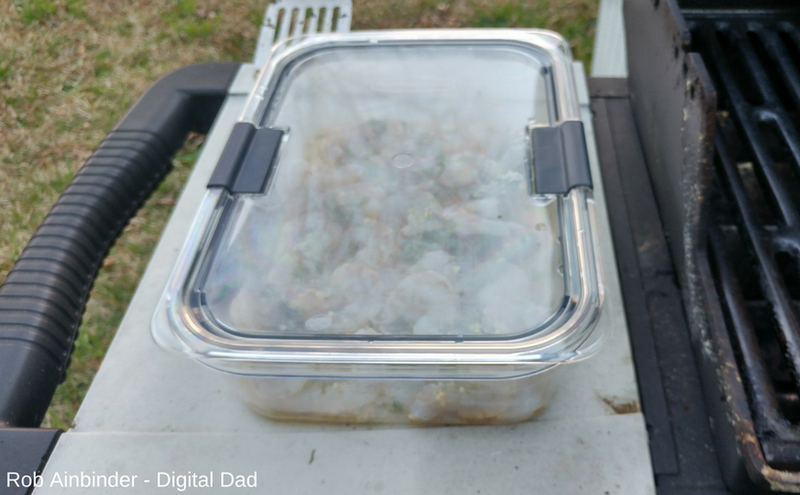 Our meal of marinated shrimp and vegetables would be a good test of these new storage containers. 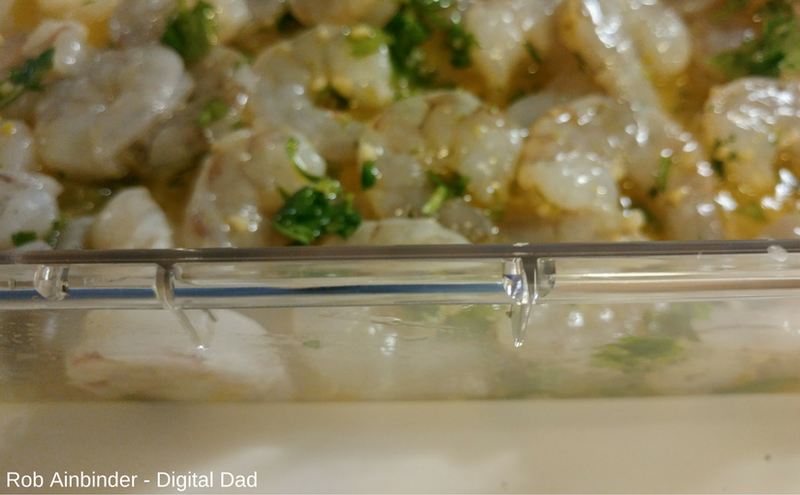 The larger piece would be great to marinade the shrimp. And the smaller pieces could work if there were any leftovers. Mixing up the shrimp marinade. 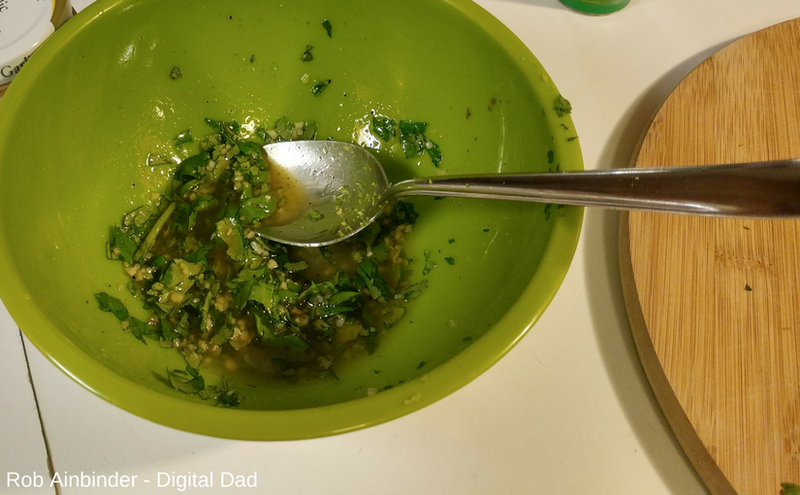 Garlic, olive oil, lemon juice and fresh cilantro… can you smell it? 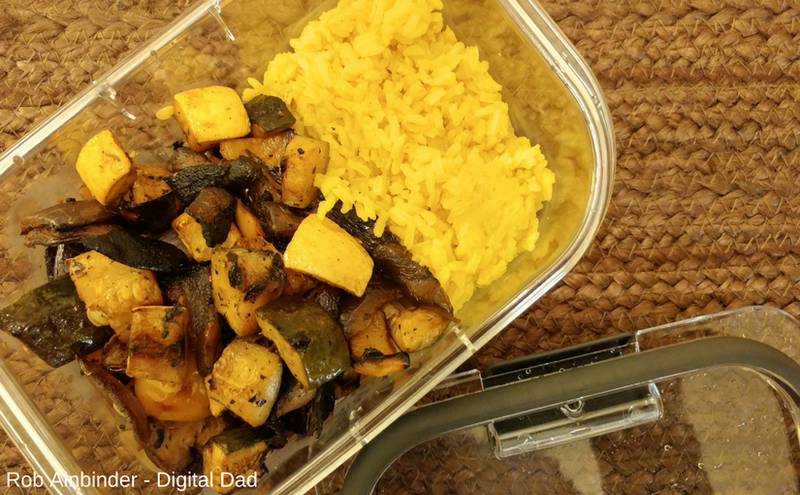 The vegetables for our marinaded and grilled balsamic vegetables… peppers, zucchini, squash, onion, and mushrooms, yummy! 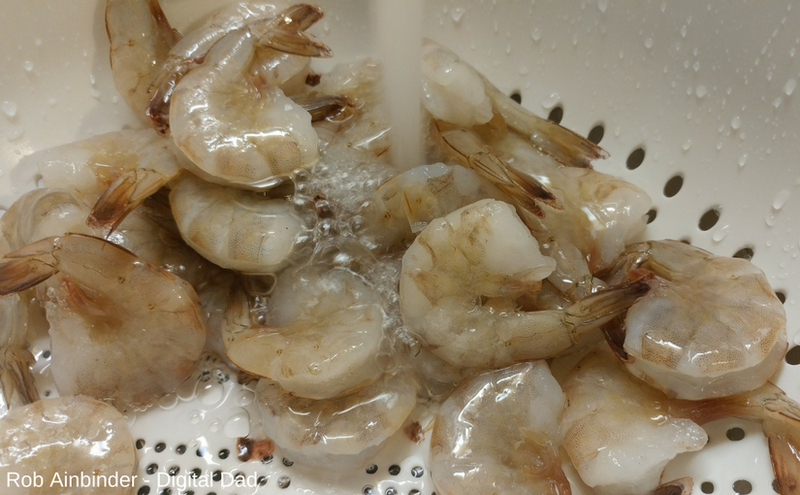 Shrimp get doused with cold water to help defrost them and remove the ice. And after some additional prep, the shrimp meet up with their marinade in their new temporary home. And all sealed up. I like the seal running all the way around the lid and the two locking tabs have a solid feel. Off into the fridge. Yeah, it’s a little crazy in there but, our little fridge works hard. 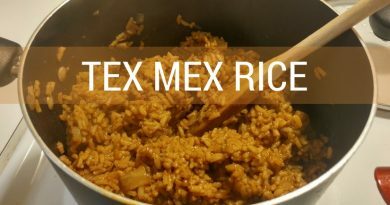 We cook at home a lot and it seems like we always have at least one thing balanced on something else. So, it’s important that our storage containers don’t leak odors or, liquid. And they should have strong sides. Rubbermaid® BRILLIANCE™ seemed to fit the bill. The crystal clear sides make it clear what’s inside. 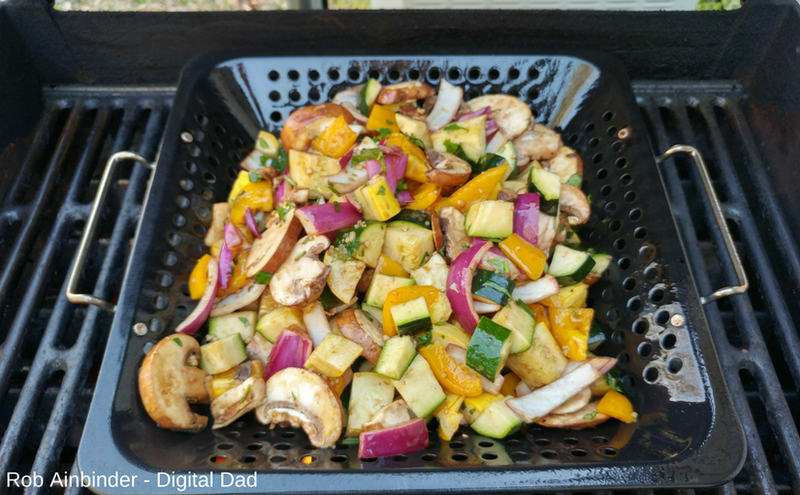 Getting the vegetables onto the grill and into a grilling basket to get them cooking down and “happy”/grilled. 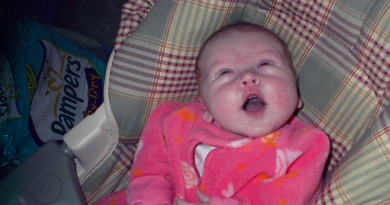 About 30 minutes later, magic. The vegetables are cooked down and caramelized. They smell awesome. And, sneaking a taste (cooks privilege, right?) they are slightly charred. Yum. 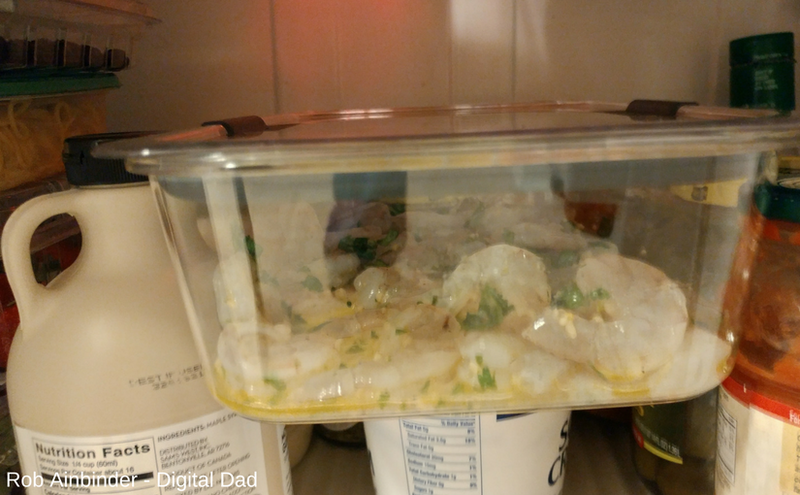 The shrimp are on standby in their Rubbermaid® BRILLIANCE™ container ready to go. 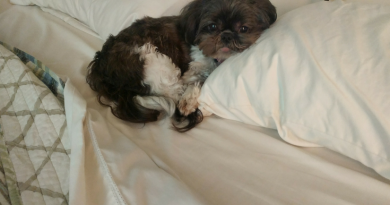 Look at those shrimp. They are just about done, here. You know they have a built in doneness indicator, right? They are done when bright red. 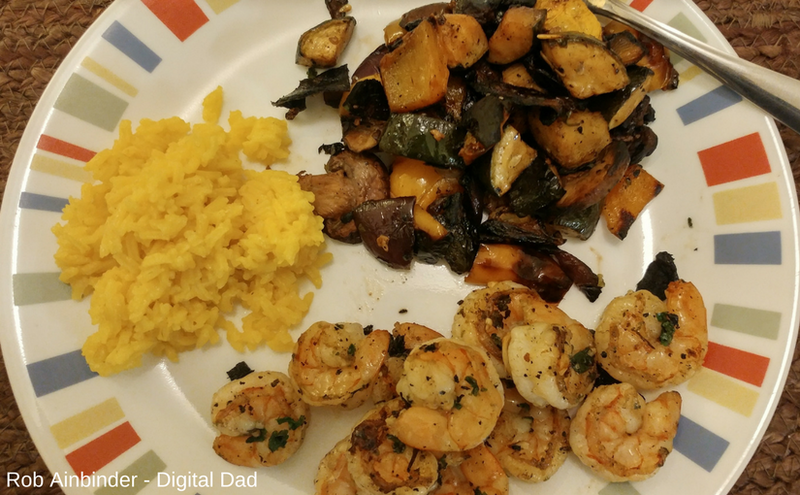 Here’s how the whole meal laid out with the yellow rice as a side dish. 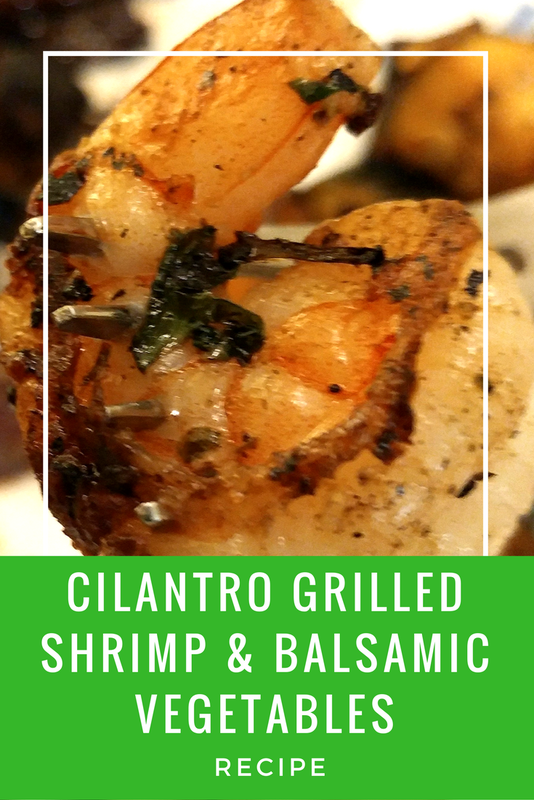 It goes great with the shrimp and vegetables. 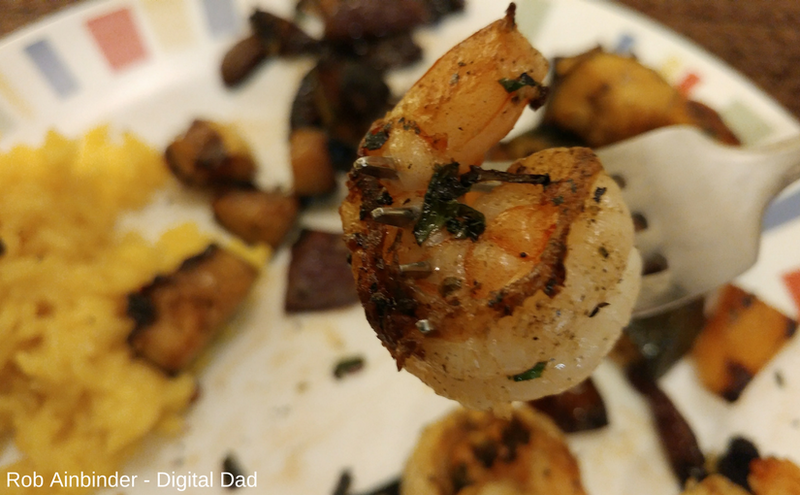 Look at that little bit of char on the shrimp, doesn’t it look yum? After we finished eating we had some leftover rice and vegetables. 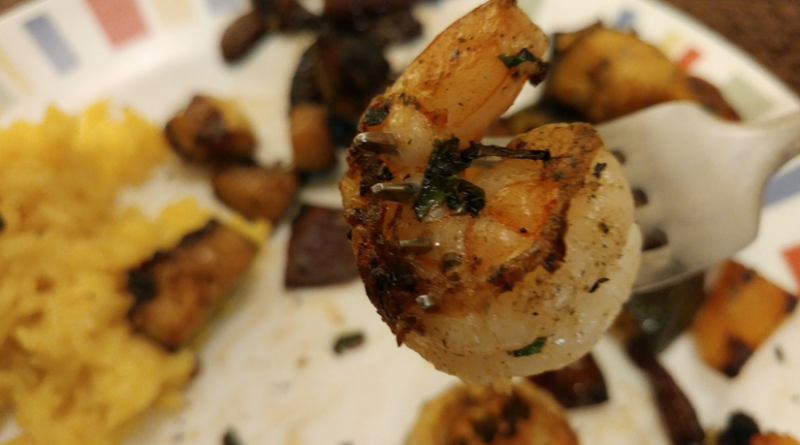 No shrimp leftover, surprised? 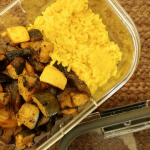 So, off the leftovers go into one of the other Rubbermaid® BRILLIANCE™containers from the set. Perfect! The lid snapped on tightly as did the locking tabs. These containers just felt solid in your hand. The lid didn’t flex or bend like it does with our other containers. 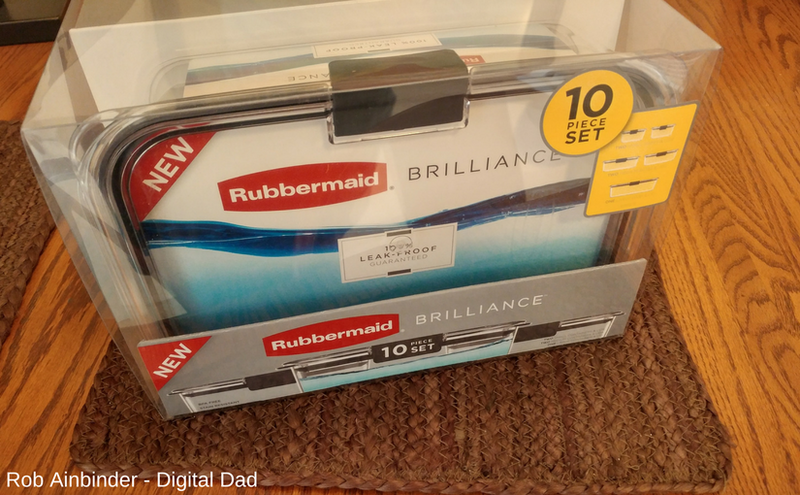 Rubbermaid® BRILLIANCE™ will fit right into our hard working, compact kitchen. 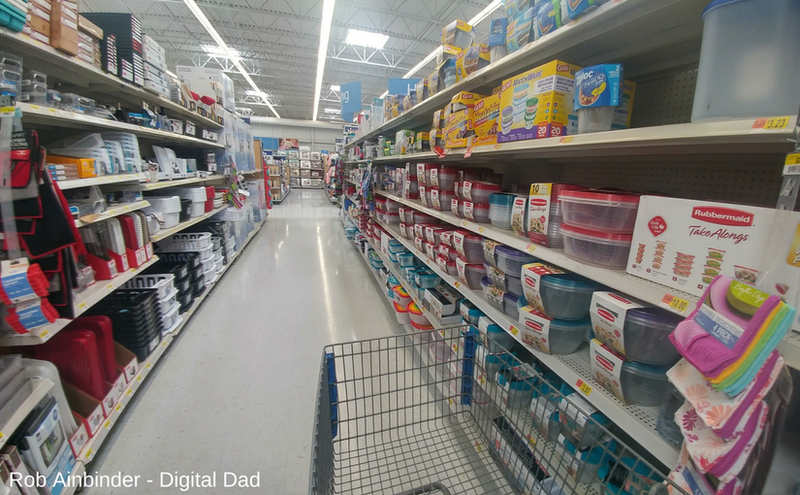 Rubbermaid® BRILLIANCE™ is available nationwide at Walmart, Bed Bath & Beyond, Target, Amazon, and other fine retailers. 1 - 2 bags of frozen raw shrimp. The bigger the size the better. 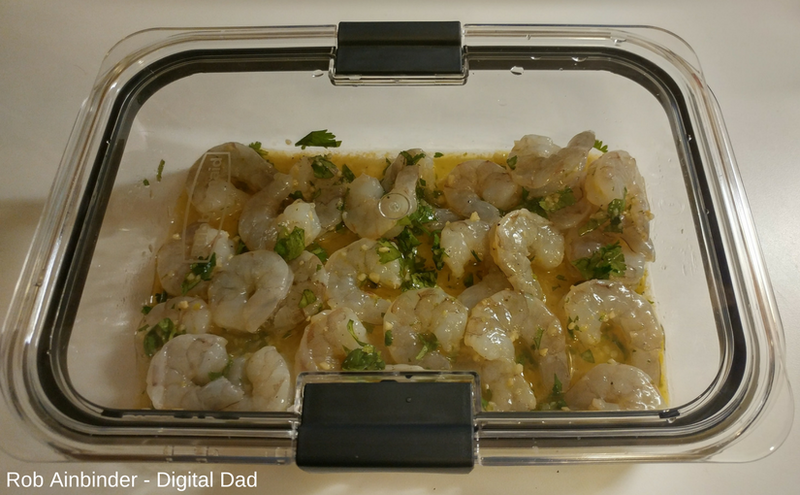 In a separate bowl make the marinade with garlic, salt, pepper, vinegar and olive oil. Mix to combine. 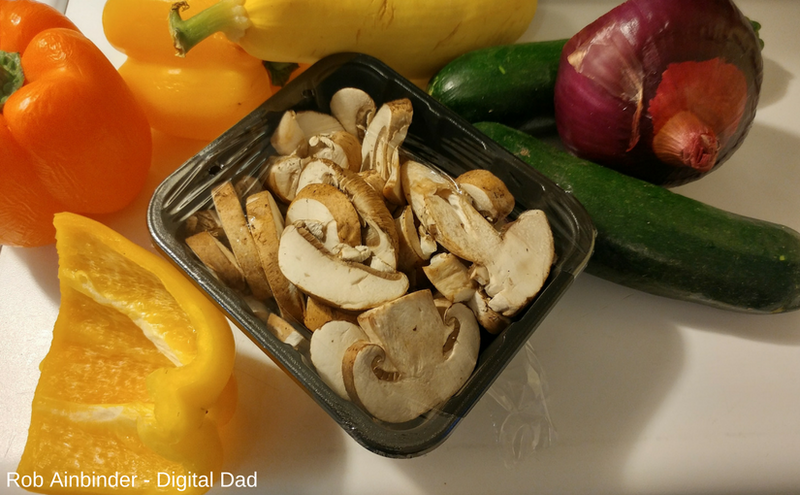 Pour marinade into bowl with vegetables. Turn vegetables to coat. 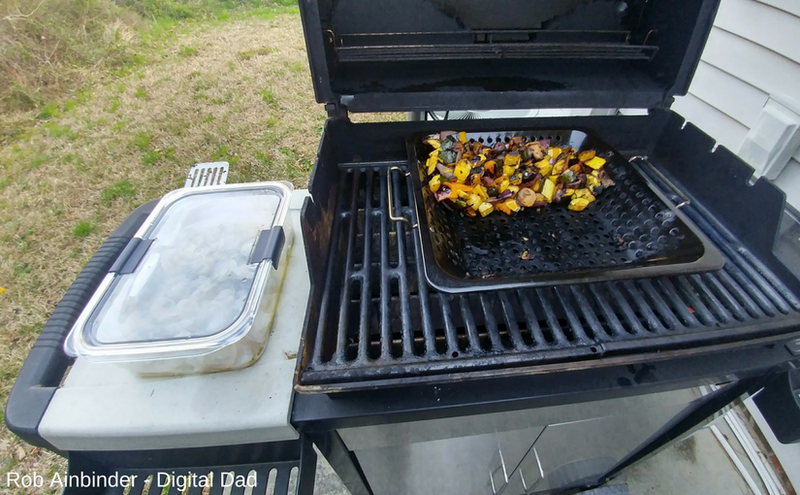 In a grill basket, grill the vegetables on medium heat on a gas or, charcoal grill (about 20 - 30 minutes). When vegetables are done transfer to a bowl and cover. 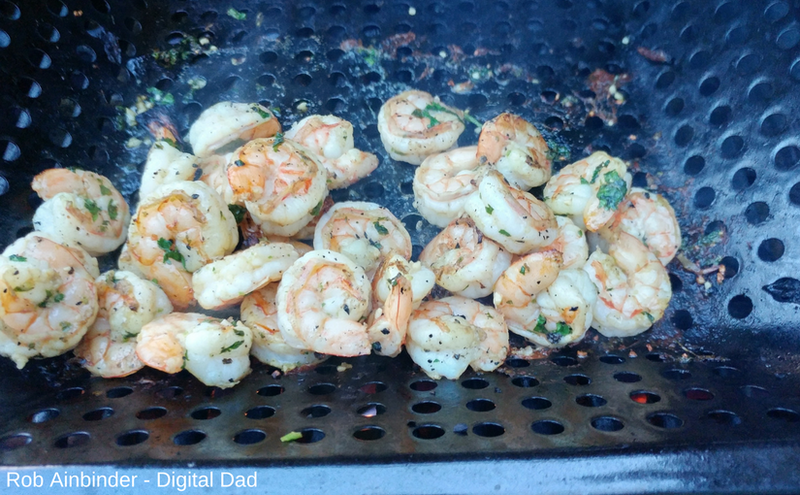 Grill the shrimp until done (about 10 - 15 minutes). Last week, I was wearing open toe sandals and a sleeveless top one day and the very NEXT day, a sweater. Welcome to NC where you get 3 seasons in one day. Thanks for my Rubbermaid set.. when I unboxed it, I found the container thief and told her point blank that if she touched them, she wouldn’t make it to her first day of highschool. LOVE the quality.. super sturdy and the fact that they don’t stain means no more spraying the container down with Pam before putting a red sauce in it. Can’t wait to try the recipe, too!! Happy grilling! Yes, snow predicted here as well. Thanks for stopping by!